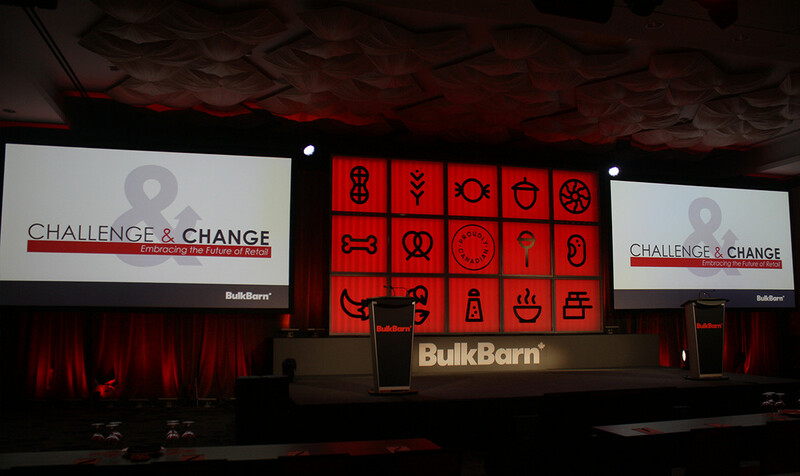 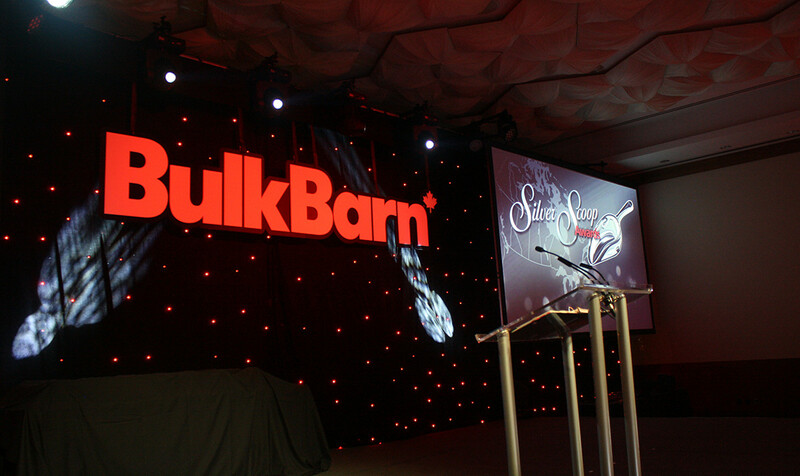 Bulk Barn is Canada’s largest bulk food retailer with stores across the country. 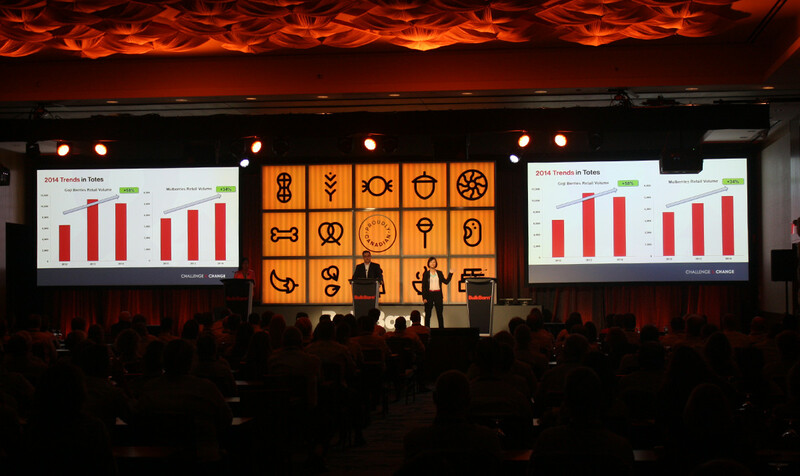 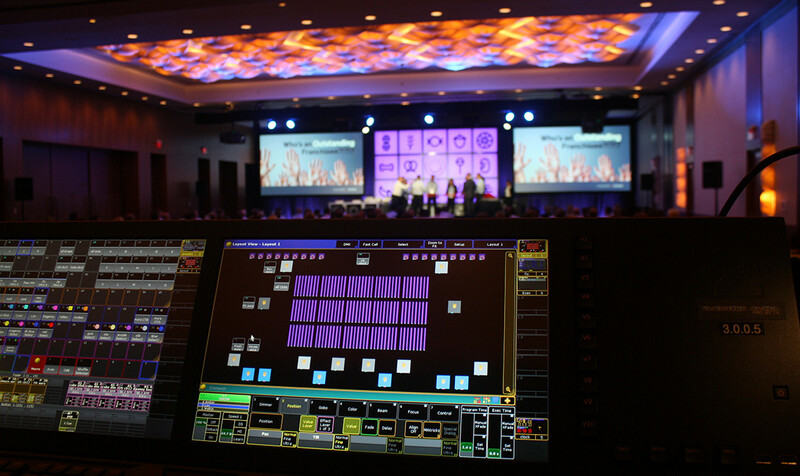 Our US client, Gel Communications, engaged us to deliver all of the audiovisual requirements including audio, video, lighting and a unique stage set comprised of our OCTO-Cubes which are LED light boxes controlled by our DMX lighting controller. 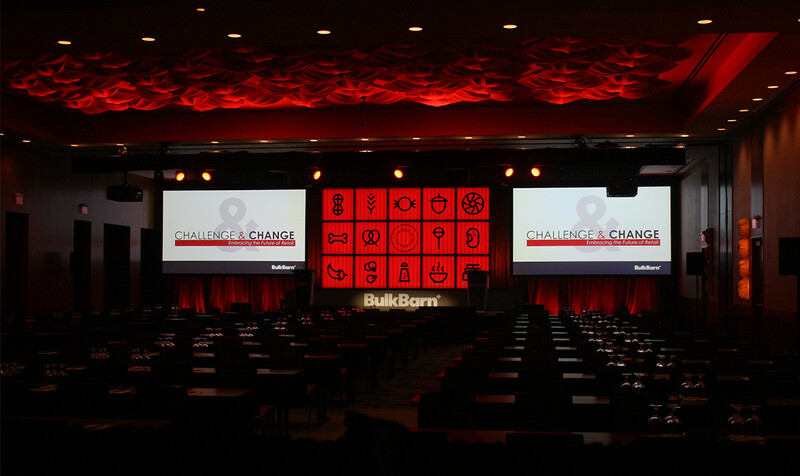 We customized the OCTO-Cubes with printed inserts of symbols to leverage the event theme and the cubes changed colors throughout the event.